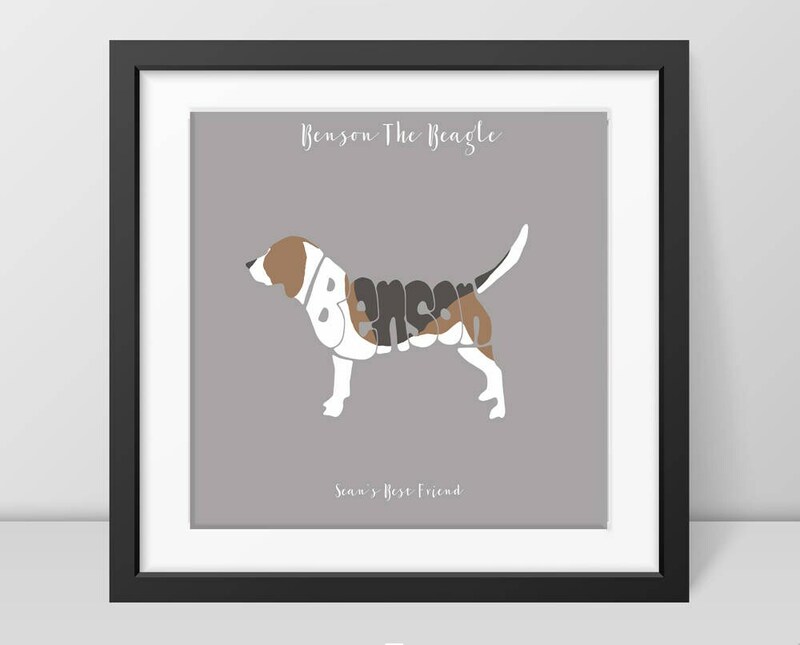 A stunning beagle design that can all be personalised to incorporate your pets name and markings. After ordering, please message us with the name of your beagle and a photo of the dog so that we can see the colouring. The print will come with the grey background, but if you wish to have another colour please just add it to your message. The beagle designs are printed on 235gsm, Satin Photo Paper. The colours used are sharp and vibrant and stand the test of time, looking great on any wall! Unframed beagle pictures will be dispatched in a sturdy cardboard tube and wrapped in turquoise tissue paper.